How do I 'un-expand' so there aren't thousands of tiny paths? 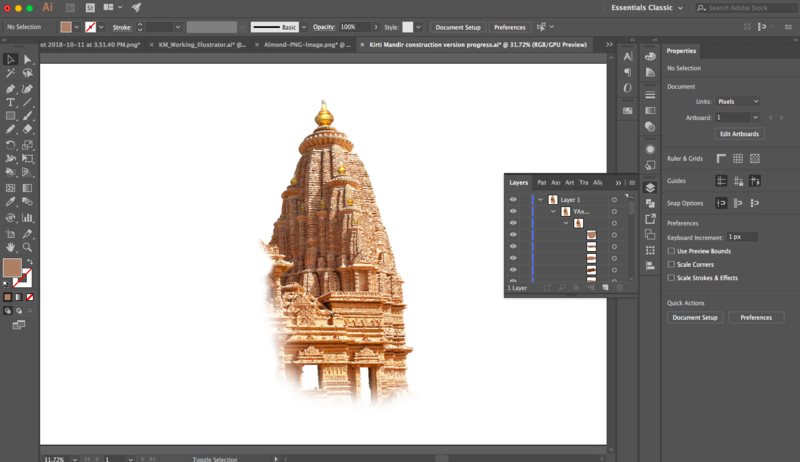 In illustrator, I hit 'expand' and deleted the white background of my vectorized image, but now that I've deleted what paths I wanted to delete, I want to get back to where I can adjust the image trace parameters of the whole image, not each tiny tile of the temple. Once you Expand a Live Trace, the tracing options are no longer available. There is no way to "go back" and edit the options used in tracing other than to Undo or start over. If you merely want to remove the white background when live tracing, tick the Ignore White option on the Image Trace Panel under the Advanced Options. Not the answer you're looking for? Browse other questions tagged adobe-illustrator vector path images image-trace or ask your own question. Difference between “Expand” and “Create Outlines” in CC? How do I expand objects from my live traced drawing? How to Image Trace a white logo or text?